Airbus Helicopters Inc. is exhibiting its role as the North American market leader for new law enforcement helicopters at the Airborne Public Safety Association Conference (APSCON) Expo, July 11-13, at the Kentucky Exposition Center in Louisville, KY, Booth #809. 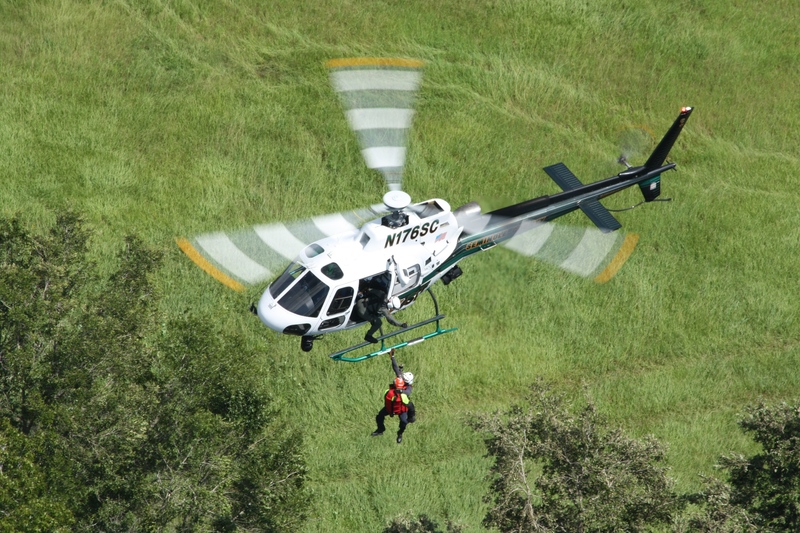 An H125, owned by Seminole County Sheriff’s Office, will be on display by Airbus at the show. When the time came for Seminole County to select a replacement helicopter in 2017, the Florida department chose a second Airbus H125 to add to its fleet. Seminole County flies patrol, search and rescue hoist mission, fire suppression and SWAT team fast-rope deployments with the H125. “For our law enforcement missions, the open cockpit gives us great visibility and allows everyone to be in one open cabin, and the high-capacity cargo hook allows us to carry 210-gallon Bambi buckets for firefighting,” says Farris. The Airbus H125 accounts for nearly half of all new law enforcement aircraft delivered in North America since 2007. Airbus has delivered 20 H125s to law enforcement agencies in the U.S. and Canada in the last 18 months. This year alone, H125s have entered service for organizations including Seminole County, Broward County (FL) Sheriff’s Office, San Bernardino County (CA) Sheriff’s Department, and Ontario (CA) Police Department. No other single-engine helicopter on the market can perform the wide variety of tasks as the H125. Law enforcement agencies tout the H125 for its performance, reliability and versatility, and it is renowned for its superior hot and high performance. The aircraft is capable of carrying a wide range of thermal imagers, searchlights, hoists and other mission gear. Airbus builds the H125 for North America at its final assembly plant in Columbus, MS, which also produces the UH-72A Lakota for the U.S. Army.